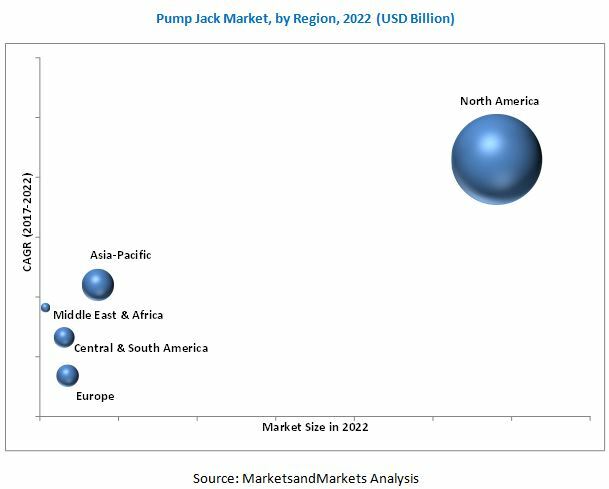 [151 Pages Report] The global pump jack market was estimated to be USD 2.77 Billion in 2016, and is expected to grow at a CAGR of 4.88% to reach USD 3.63 Billion by 2022. The increasing maturing oil fields are expected to drive the pump jack market. The year 2016 has been considered as the base year for company profiles. Where information was unavailable for the base year, the prior year has been considered. This research study involved the use of extensive secondary sources, directories, and databases, such as Hoover’s, Bloomberg BusinessWeek, Factiva, and OneSource, to identify and collect information useful for a technical, market-oriented, and commercial study of pump jack market. Primary sources are mainly industry experts from core and related industries, service providers, environmental, regulatory and authorities, shipbroking and charter service providers, standards and certification organizations of companies, and organizations related to all the segments of this industry’s value chain. The points given below explain the research methodology. After arriving at the overall market size, the total market has been split into several segments and sub-segments. The figure given below illustrates the breakdown of primaries, on the basis of company type, designation, and region, conducted during the research study. The ecosystem of this market consists of oilfield operating companies and service providers for different types of services. The figure below shows the market ecosystem along with the major companies. 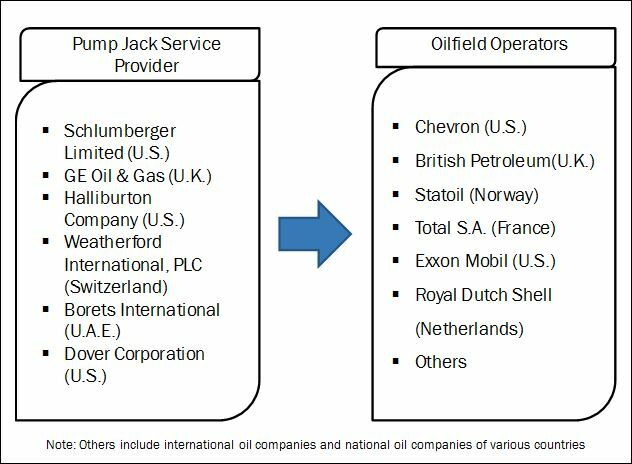 The pump jack service providing companies that provides installation, maintenance, and transportation services includes Schlumberger Limited (U.S.), Halliburton Company (U.S.), General Electric Oil & Gas (U.K.), Weatherford International, PLC (Switzerland), Borets International (U.A.E. ), Dover Corporation (U.S.), Rimera Group (U.A.E. ), Dansco Manufacturing (U.S.), Hess Corporation (U.S.), and Tenaris S.A. (Luxembourg) among others. These are the end-users in this market. The global pump jack market is projected to grow at a CAGR of 4.88%, from 2017 to 2022, to reach a market size of USD 3.63 Billion by 2022. Increasing matured oil fields and large number of stripper wells in North America along with improving crude oil production from these mature wells, have been a subject of focus around major oil producing regions, owing to oil price downturn. The report segments the pump jack market, on the basis of vertical well and horizontal well type. The vertical well segmented accounted for the largest market share in 2016, driven by the demand from the North American market. Pump jack is the most commonly employed, low cost installation, and efficient method in vertical wells. Pump jacks in horizontal wells is still a challenging task. The application of pump jacks is also limited in the horizontal well market. The report also segments the pump jack market, on the basis of the weight of equipment into less than 100,000 lbs, 100,000 lbs to 300,000 lbs, and more than 300,000 lbs. The 100,000 lbs to 300,000 lbs was the largest market and is projected to maintain its edge over the other segments owing to its capability of serving different type of wells. The report also segments the pump jack market, on the basis of onshore and offshore applications. The use of pump jack is limited to onshore application with very less use in offshore application, due to large space footprint. Onshore fields offer the requisite surface area and well spacing for the installation of pump jacks. Moreover, onshore fields allow for easy maintenance and repair, as they are easily accessible or well connected to monitoring facilities. In this report, the pump jack market has been categorized, on the basis of region, into North America, Asia-Pacific, the Middle East and Africa, Europe, and South and Central America. The market in North America led the pump jack market, with the largest market share, by value, in 2016, and this trend is projected to continue till 2022. The market in Asia-Pacific will also play an important role in driving the demand for pump jacks. The North American market is expected to grow at the highest CAGR during the forecast period. This growth is due to abundance of stripper wells in the U.S. and increasing number of mature oil fields which are near to the end of its economic life. Large space footprint and limitation of offshore applications and moderate to high maintenance costs are the restraints for the pump jack market. Pump jack manufacturers are implementing new technologies, such as remotely monitoring of pump jack activities and adapting new renewable based operating methods to reduce the operating cost for pump jacks. The leading players in the industry, based on their recent developments and other strategic industrial activities, includes Schlumberger Limited (U.S.), Halliburton (U.S.), General Electric Oil & Gas (U.K.), Weatherford International, PLC (Switzerland), Dover Corporation (U.S.), and Borets International (U.A.E. ), among others. 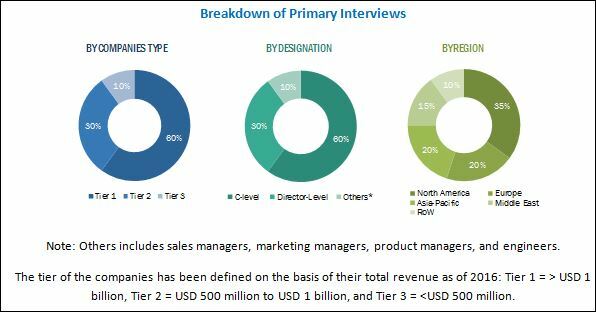 In terms of growth strategies, market players have been focusing on expansions and investments to expand their product portfolio and increase their market size as well as strengthen their market foothold in the regional market. Pump jack manufacturing companies are opening new manufacturing facilities and service centers in the Americas to serve their customers in an efficient manner. There is a mix of both organic and inorganic growth strategies that companies are using to stay relevant in the market.